lol i actually find that funny but what slightly annoys me is that he's trying to make brexit a racial issue like can you stop please. yep. knew he was making brexit racial. so ridiculous, i hate lefties man. pandering to people with buzzwords and demonising valid points because it's "racist". hate it hate it. It was an odd thing to say, especially considering the vast majority of the population is white. 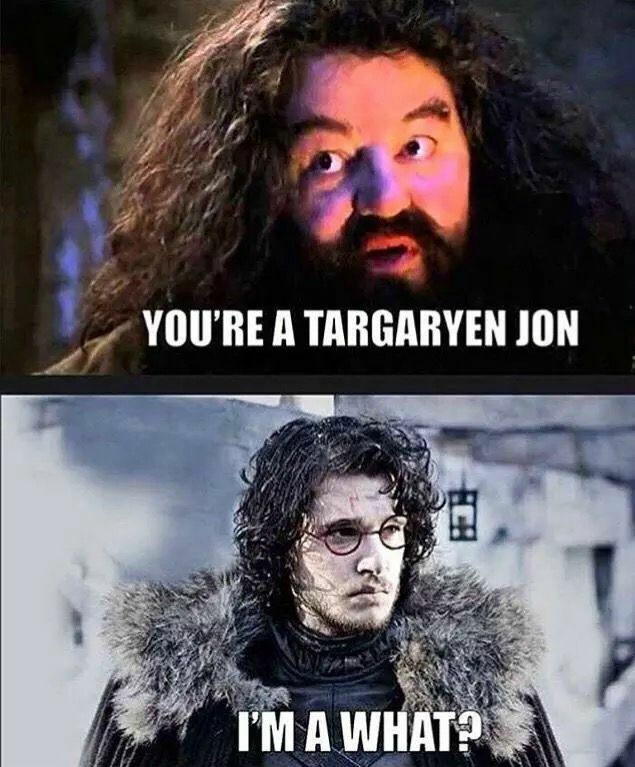 laughing that his name is actually jon snow. anyways this is another case of liberal celebrity psychopathy. they know absolutely nothing about the average citizen nor reality, and spout pathological fallacies about anyone who disagrees with them out of deluded arrogance that they're actually right. and so here you have an Englishman...saying he's never seen so many white people...in England...live telly... because he clearly thinks majority of remainers...are not white...what on minging earth kind of logic... what a banana. why i dont watch the news ever nor telly. Why are you linking an article from 2017 as evidence for "plenty of non-whites" at the Leave Means Leave event last week? What do you think "The will of the people" actually means? I mean, define the words. I think, in the context of an issue which has been voted on in a democracy, it means the result of that vote. That has to be taken as 'the will of the people'; otherwise (and at the risk of repeating myself) the system can't function. Within such a system, the 'will of the people' has to be ascertained through the mechanism of votes, and the result of those votes must be treated as 'the will of the people' despite that some people chose not to participate. If you don't like that usage we can just avoid the term for the moment. I don't think getting bogged down in semantics is really helpful to anyone. The core of the point is that the fact that some people chose not to participate in that vote should not cause us to place less weight on the result of it. You repeatedly claim that only a third (or whatever specific fraction/percentage) of people voted Leave. As a bare statement of fact, I'm fine with that. But to the extent that you suggest that this should cause us to regard the vote as invalid, or even just as less significant than it would have been if everyone joined in, I disagree. We have a system used to determine what should happen, and, if you choose not to participate, your views on that particular decision don't count. Many came from outside London, where there are mostly white people. There didn't appear to be any less whites than in the remain protest. What Jon really meant to say is he's never seen so many working class people. Those are the ones he really hates, but it's more politically correct to say white. Funny that. What Jon really meant to say is he's never seen so many working class people. There very few middle-class people in St James because they can't afford to live there ever. I'm not turning a blind eye. I'm just asking for evidence as there weren't "plenty of non-whites" in any of the images or videos I've seen of the event. I will be happy to change my position on seeing such evidence. With all due respect, you are the one not responding to what I am saying. If you think that "The People of the UK" consists of the 17 million who voted Leave, you are sadly deluded. Brexit is not "The Will of the People". That is just a platitude spouted by Brexiteers attempting to add weight to their flimsy arguments. It is merely "The Will of the People who Voted for It"
That is in no way claiming that Leave did not gain a majority in the vote, just that claiming Leave is "the will of the people" is obvious nonsense. Leavers can't even agree on what type of Brexit they are willing, so Brexit isn't even "The will of Leave voters"! The majority of people who voted in the referendum voted to leave. That’s all that counts, really. I have never claimed that the vote was invalid, or that uncast votes should be considered, just that the result does not represent "the will of the people" because "the people" are a lot more than 17 million and we know that at least 16 million of them "will" the opposite of what you are claiming is "the will of the people". So yes, use a different, more accurate term - like "the result of the referendum" or "the will of Leave voters" - because that is actually what you mean when you say "the will of the people". The term "the will of the people" is deliberately used disingenuously by Brexiteers in an attempt to deceive people into thinking that the country as a whole wants to leave the EU. What's more, public opinion is now in favour of Remain by a margin of 8 percentage points according to the most recent polls (twice the size of the referendum margin), so it is doubly disingenuous to claim that "the will of the people" cannot and has not changed over the last two and a half years. It is no coincidence that everyone in favour of leaving is so opposed to any kind of new public consultation. What's more, public opinion is now in favour of Remain by a margin of 8 percentage points according to the most recent polls (twice the size of the referendum margin), so it is doubly disingenuous to claim that "the will of the people" cannot and has not changed over the last two and a half years. I wouldn't go that far, but it certainly dispels the "the will of the people" myth. Even that is irrelevant now. But in the context of the original point, Leave voters are not "the majority of the country". Not by a long way. Likewise it is wrong to call Brexit "the will of the people". Because it isn't. Even the people who want to leave can't agree on what Brexit should actually look like. It's all about reducing people to the state of sedated units incapable of thoughts, that's the only way their propaganda can work. It's like somebody on a TV show uttering 'white supremacy' and the whole selcted audience erupts in a chorus of strange noises without truly understanding anything of what goes on around them. It's like prodding frog's legs in order to induce a mechanical reaction but first you have to confine people to a vegetative state. Without that, no chance and they know it and do everything required to get there. Controlling the education system is fundamental, of course. the main way they numb is trash telly and this **** they call "music"
If Leavers do not represent the will of the people, then it would not be true to say Remain do either, since they got a lower vote share. Correct. "The will of the people" is a meaningless term because "the people" want different and contradictory things. A difficult concept to grasp, apparently. What's more, public opinion is now in favour of Remain by a margin of 8 percentage points according to the most recent polls (twice the size of the referendum margin), . And what was the poll prediction before the referendum? There were many. Some predicted a Remain win, others a Leave win. In the 2 weeks before the vote the polls were fairly evenly split between the two, with a range of about +6% to -6%. Overall, pretty inconclusive but a slight trend towards Leave.